Built in the early fifties, the original Larchmont building no longer served the changing needs of the congregation. Subsequent additions eased the pressures for additional space but resulted in a facility with little coherence and a incoherent traffic flow. Beginning with a thorough exploration of the three separate structures and an in-depth assessment of the congregation’s current and future needs, PKSB found a design solution which seamlessly joins the administration, religious school, social hall, sanctuary, and community space. 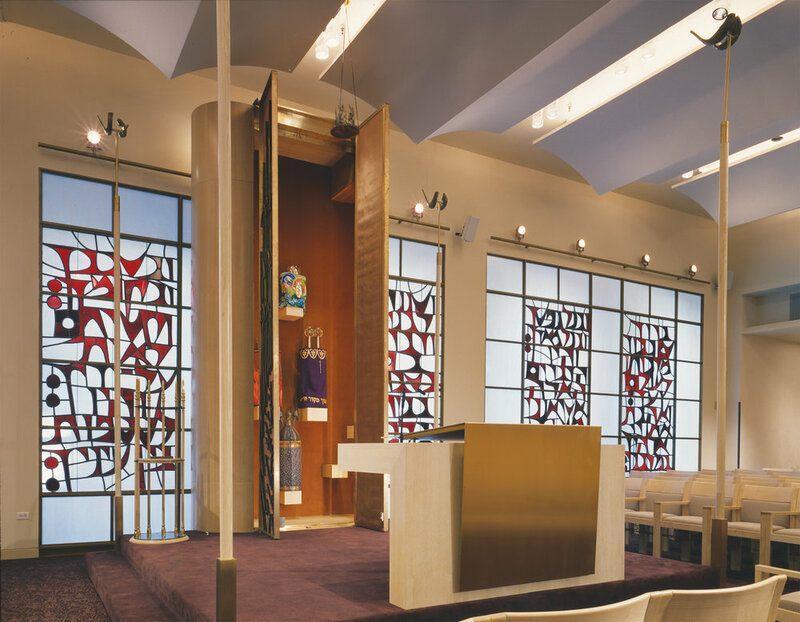 For the sanctuary itself, the primary goal was to create a stronger and more intimate dialogue between the clergy and worshiper. This was achieved in a variety of ways. 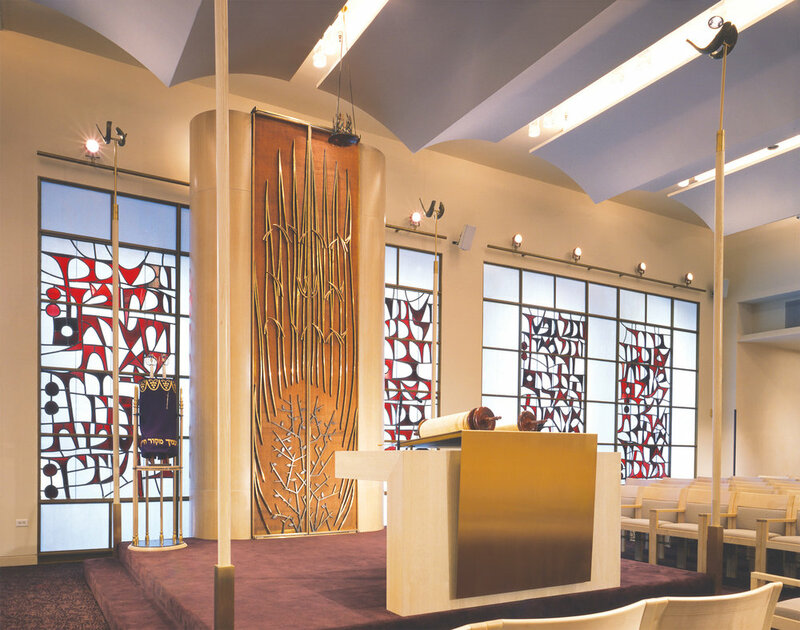 The ark and bimah were relocated to the center of the sanctuary, creating a more inclusive and communal arrangement. 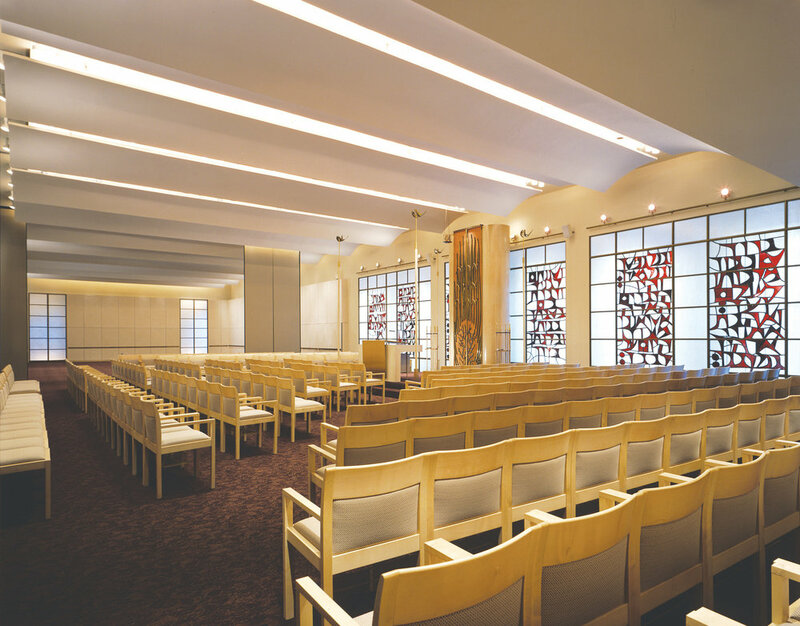 Flexible seating replaced fixed pews allowing for several different types of services. 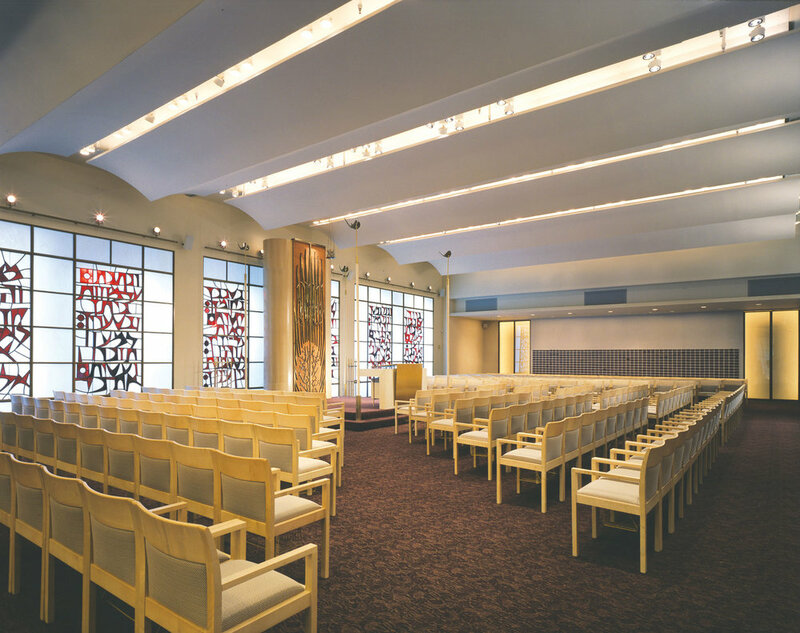 For holidays, the sanctuary and adjacent social hall are combined and the ark and bimah are an be moved along the eastern wall so to remain centered in relation to the expanding and contracting seating configurations. 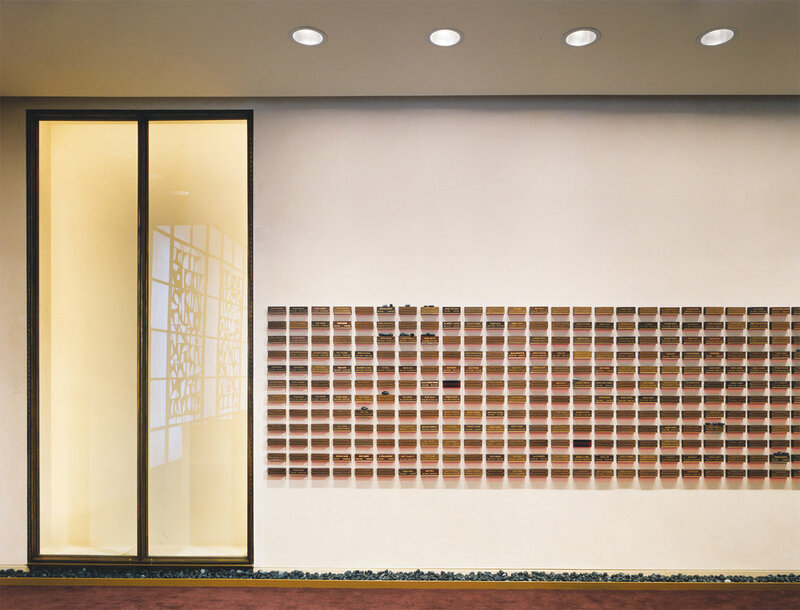 The Yahrtzeit wall is modeled after a tradition observed in Jewish cemeteries. Each plaque bears a shelf where mourners place a smooth black stone from a trough lining the wall. 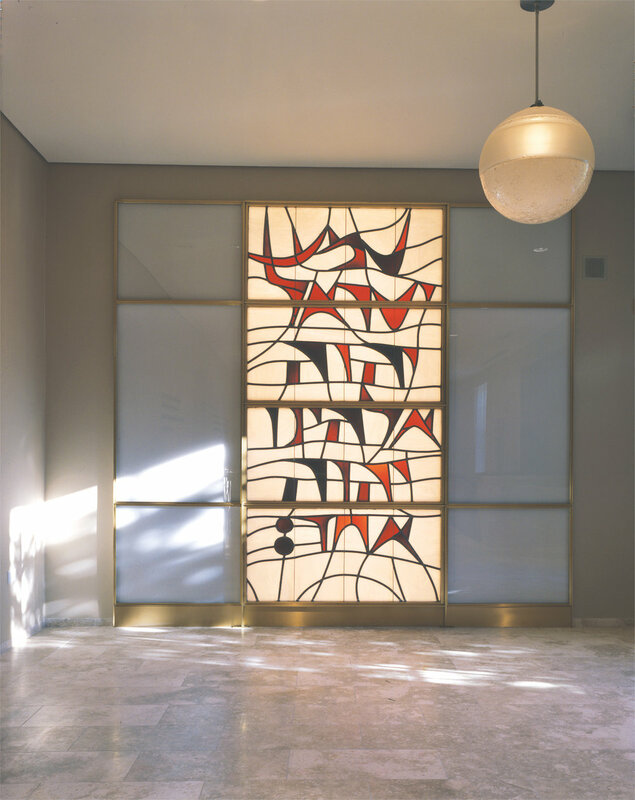 This symbolic gesture promotes interaction and reaffirms Jewish tradition.